The Goods and Services Tax (GST) yielded Rs 940.16 billion in May, 4.5 per cent higher than the average monthly collection last year, backed by improved compliance due to the introduction of the e-way bill, which tracks the movement of goods. Incremental impact on revenues is expected over the next few months, when the e-way bill system becomes mandatory even for intra-state movement of goods. The mop-up is, however, lower than the Rs 1 trillion collected in April, although the two cannot be compared since the arrears of the earlier months are paid by year-end. The May collection is higher than the average revenue of Rs 898.8 billion collected in the first nine months since the GST roll-out in 2017-18. “This reflects better compliance after the introduction of e-way bills. Some people are comparing the May collection figure with April, which is not correct,” Finance Secretary Hasmukh Adhia said in a tweet on Friday. E-way bills help the central and state tax authorities track inter-state and intra-state movements of goods worth Rs 50,000 and above, and help plug revenue leakages. So far, 27 states and Union Territories have made the e-way bill system mandatory for intra-state movement of goods. Six states —Mizoram, Odisha, Punjab, Chhattisgarh, Goa, and Jammu and Kashmir — implemented the e-way bill system for intra-state movements of goods from Friday. Tamil Nadu and West Bengal will roll it out on Saturday and Sunday, respectively.The revenue collection in May reflects transactions and sales in April. From 2018-19, the finance ministry shifted to a cash-based accounting system for the GST, where monthly collections are reported on the first working day of the following month. “The collection for April is higher by around 4.5 per cent compared to the average monthly collection for 2017-18. While this is encouraging, perhaps the government expected a higher collection due to the introduction of e-way bills from April 1, 2018,” said Pratik Jain, partner, PwC India. The monthly average collection could touch Rs 1 trillion once the intra-state system became mandatory, he added. 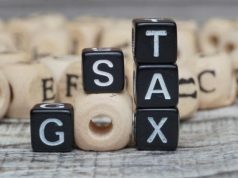 Saloni Roy, partner, Deloitte India, also suggested that tax collections were likely to improve once all states were on board. From 800,000 e-way bills generated in the first week of April, the average number of these bills rose to 1.68 million on May 30. 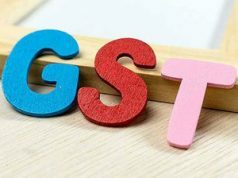 Of the total collection, Central GST (CGST) stood at Rs 158.66 billion, with states garnering Rs 216.91 billion in State GST (SGST). 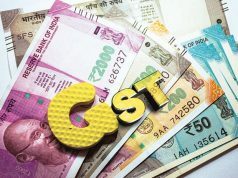 Around Rs 73.39 billion was received as cess with Rs 491.20 billion collected as Integrated GST (IGST), which is levied on inter-state supply of goods and services and is divided between states and the Centre. As on May 29, the Centre released Rs 66.96 billion to states as compensation cess for March. The total GST compensation released to states for 2017-18 (July-March period) was Rs 47.8 billion.